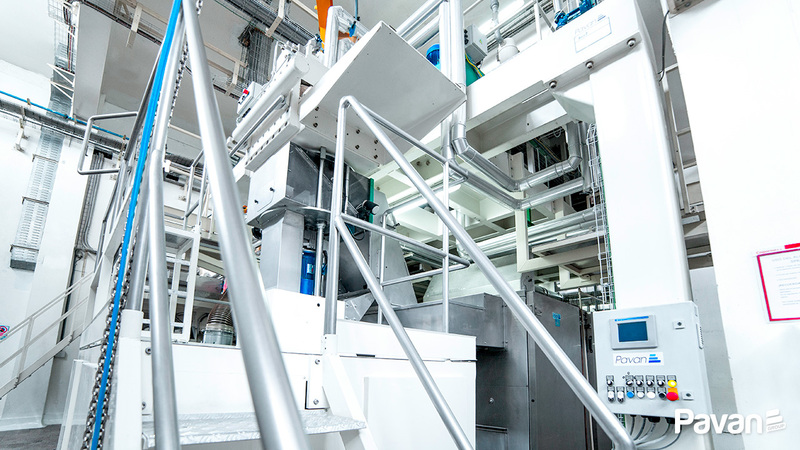 In the mixing tank the slowly rotating paddles mix the ingredients until optimal hydration is achieved, allowing the gluten matrix to form. 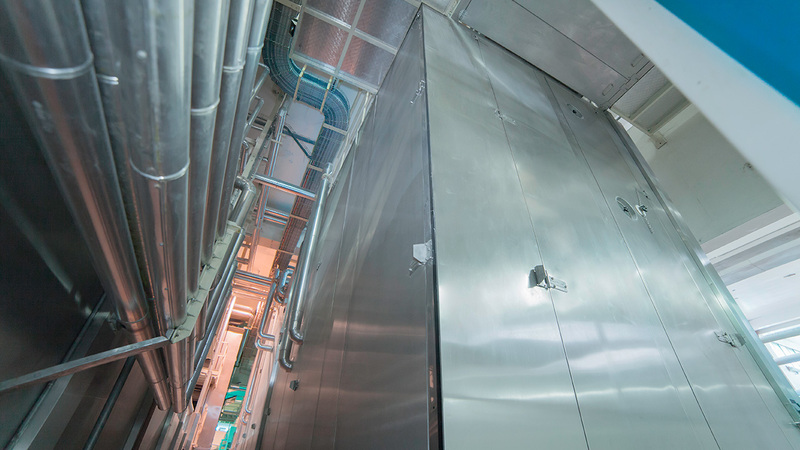 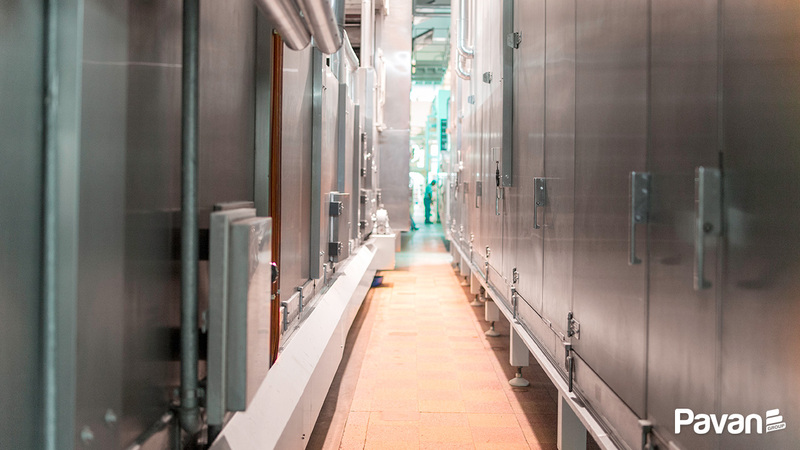 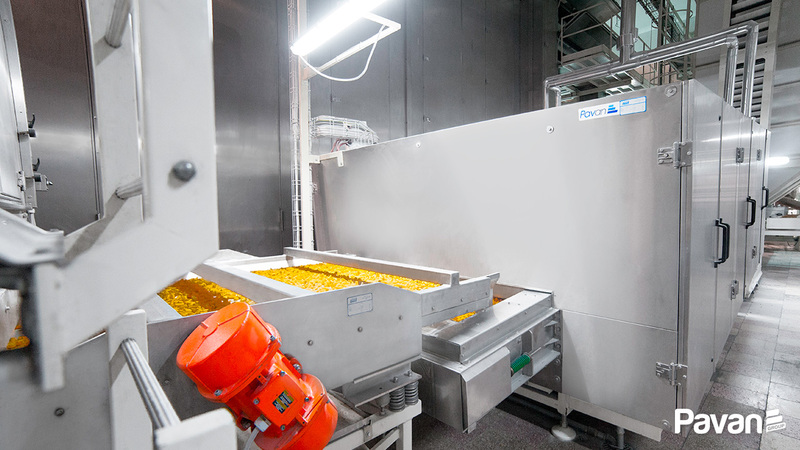 The whole process from dosing to extrusion takes place under vacuum at a temperature of 40-45°C. 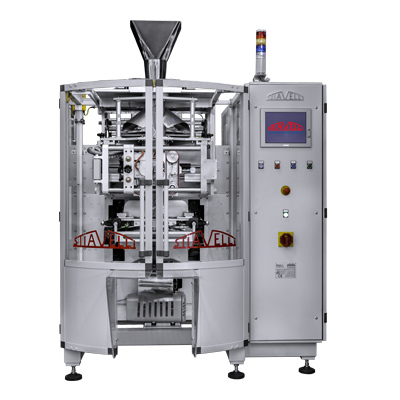 This machine cuts all short-cut pasta shapes and is suitable for the installation of the PENNAUT device for cutting “penne” pasta shapes; this is equipped with an automatic centring/positioning system for the cutting discs. 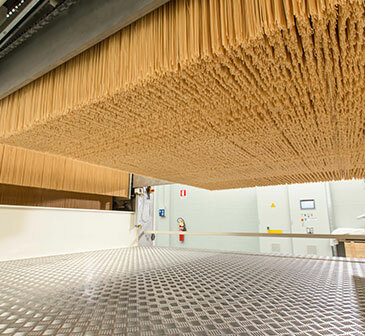 The pasta is surface-dried with hot, dry air in order to prevent sticking. 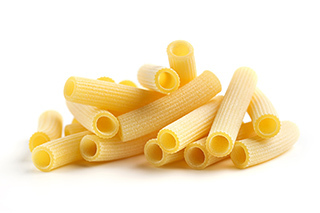 The temperature of the pasta is raised to 70°C. 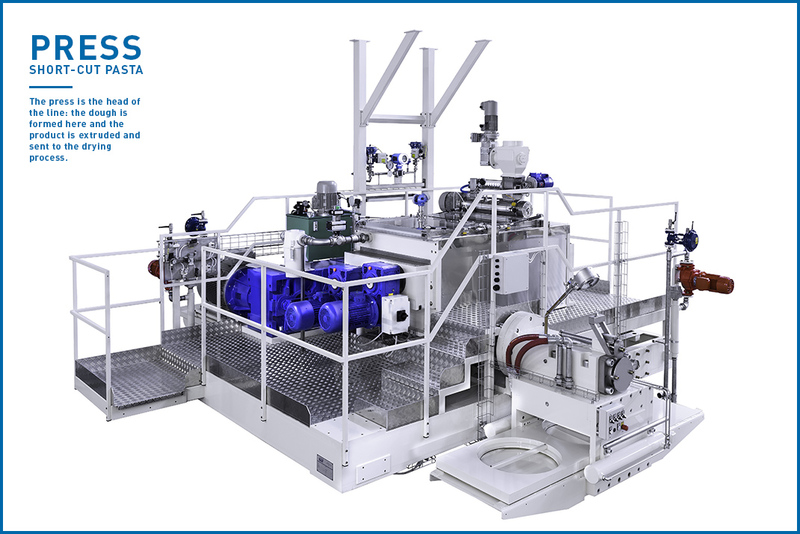 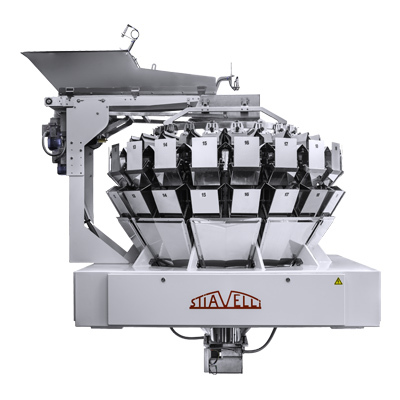 This machine is enhanced by TAS technology, and by a ventilation system designed to allow air to flow through the product layer. 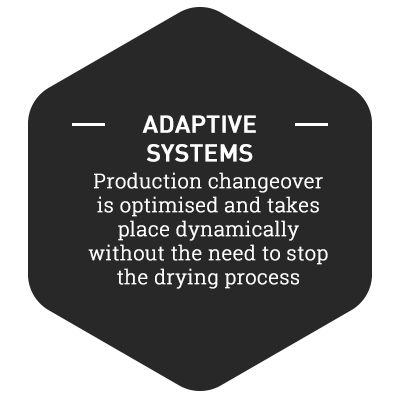 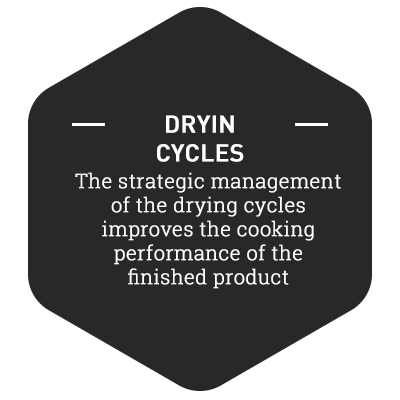 The dryer is completely isolated from the outside environment and all air inflow and outflow is strategically managed to improve the production process. 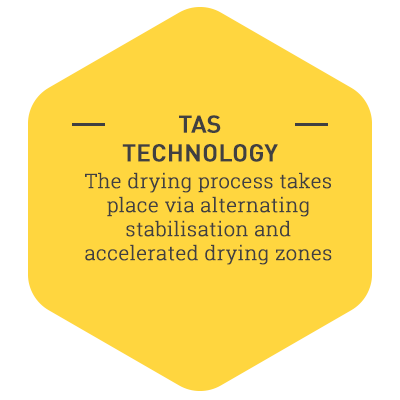 The maximum temperature reached is 115°C with stabilisation zones at 77°C and an average residence time of 120-145 minutes. 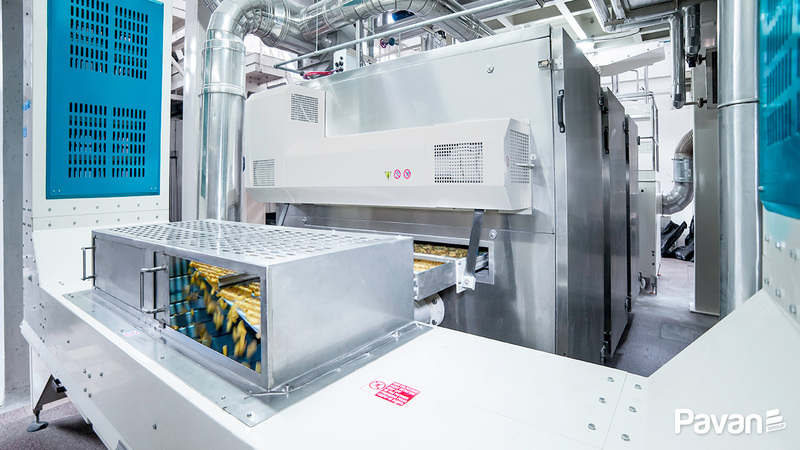 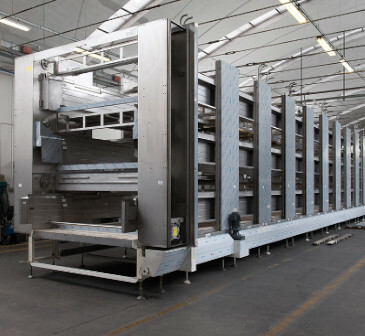 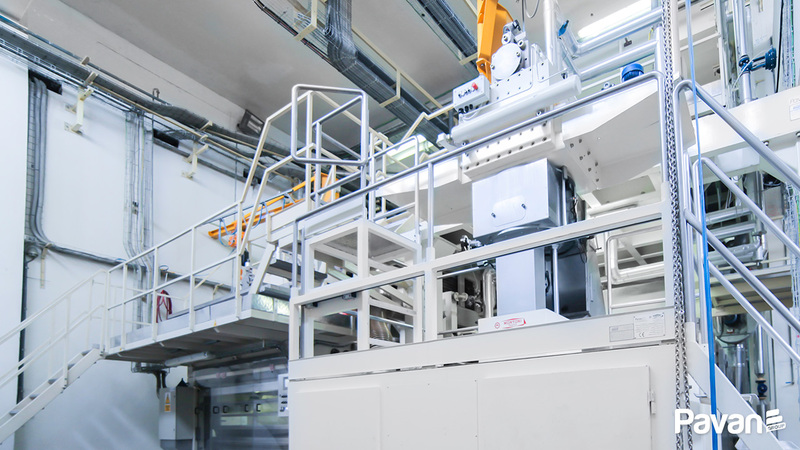 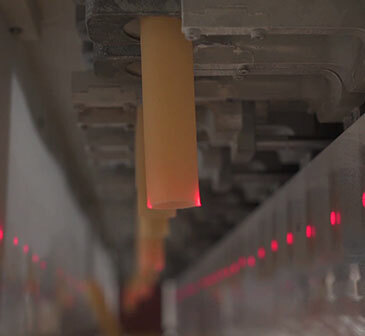 This machine is equipped with automatic air cooling units that lower the temperature of the pasta to 20-25°C and prepare it for the packaging stage.